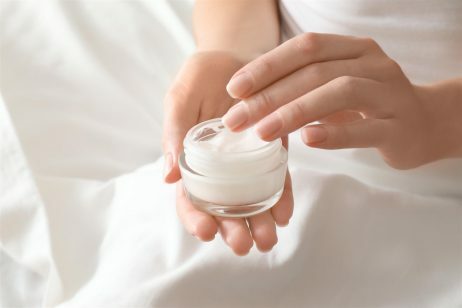 Phytosphingosine is a naturally occurring lipid that is used in cosmetics and personal care products due to its ability to replenish the skin’s natural barrier function. The name phytosphingosine is derived from the term “sphingoid”. Chemist J. L. W. Thudichum coined this term in 1884 because the way the molecules of this substance lined up reminded him of the riddle of the Sphinx. Phytosphingosine is a phospholipid, a type of lipid that is a major component of all biological membranes. It can be classified as a sphingoid base, a fundamental building block of more complex sphingolipids. There are four types of sphingoid bases: phytosphingosine, sphinganine, sphingosine, and 6-OH-4-sphingenine. Phytosphingosine possesses a hydroxyl group at C-4 of the sphingoid long-chain base. Phytosphingosine is one of the most widely distributed natural sphingoid bases, which is abundant in fungi, plants, and animals. In humans, phytosphingosine is naturally found within the stratum corneum (the outermost layer of skin), where it occurs in both its free form and as a metabolite of ceramides. Phytosphingosine is added to products like moisturizers and anti-aging treatments due to its ability to replenish the skin’s natural barrier function. Phytosphingosine is one type of lipid that makes up of the skin’s lipid barrier, which also contains about 50 percent ceramides, 25 percent cholesterol, and about 10 to 15 percent fatty acids. Without these essential lipids, the barrier is weakened. A weak or damaged barrier allows harmful things like allergens, bacteria, and irritants to pass through into the deeper layers of skin, which causes symptoms of dryness, itching, and irritation. Ultimately, this can lead to the formation of skin conditions such as acne, eczema, sensitive skin, and even signs of aging. Skin care products that contain phytosphingosine can help to prevent these problems. In addition to providing protection from environmental factors, the skin’s lipid barrier also functions to prevent excessive water loss. Phytosphingosine and the other lipids that make up the skin’s barrier help to lock in moisture and prevent skin dehydration. A 2017 study published in the Archives of Dermatological Research found that phytosphingosine provides a skin moisturizing effect by modulating filaggrin metabolic pathways that are directly responsible for NMF production. NMF stands for natural moisturizing factor, a term that describes a group of substances (i.e. amino acids, sugars, electrolytes, etc.) that work to keep skin’s surface intact, supple, and hydrated. Topical application of phytosphingosine can help to replenish the skin’s NMF. Skin care expert Paula Begoun explains that restoring the skin’s NMF is important because it becomes depleted with age and also from routine exposure to sensitizing ingredients like drying cleansing agents and denatured alcohol. This leads to visibly dry, tight-feeling, flaky skin. Thus, by using ingredients that help to replenish NMF, signs of aging such as lines, wrinkles, and dry skin, will be reduced. The result is skin that appears more smooth, hydrated, and firm. 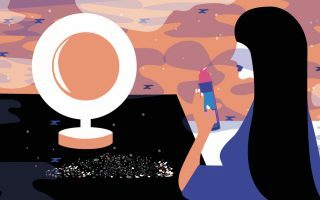 While safety data on the use of phytosphingosine in cosmetics is limited, the few studies that have assessed the safety of this ingredient have found little to no side effects. The MSDS (Material Safety Data Sheet) for phytosphingosine states that no harmful effects have been reported upon contact with skin, upon ingestion, or upon inhalation. However, phytosphingosine can cause irritation if it comes in contact with the eyes. According to EWG, phytosphingosine is rated as a 1 on a scale of 1 to 10, with 1 being the lowest risk to health and 10 being the highest. A safety evaluation of phytosphingosine published in the Journal of Applied Cosmetology found that this ingredient did not lead to any unwanted skin reactions. In fact, the study results demonstrated that phytosphingosine produced a progressive and significant increase of skin hydration, suppleness, and firmness, as well as fine wrinkle improvement and decrease in transepidermal water loss (TEWL) during the treatment period. References: Wikipedia, “Phytosphingosine”, PubChem, Open Chemistry Database, “Phytosphingosine”, Int J Cosmet Sci, Feb 2007, 29, 181–190, Paula’s Choice, “Phytosphingosine”, Biochim Biophys Acta. 2017 May;1859(5):824-834, Arch Dermatol Res. 2017 Dec;309(10):795-803, Paula’s Choice, “Natural Moisturizing Factor”, Material Safety Data Sheet, “Phytosphingosine”, EWG’s Skin Deep Cosmetic Database, “Phytosphingosine”, J Appl Cosmetol 17. 1-9 (January – March 1999).